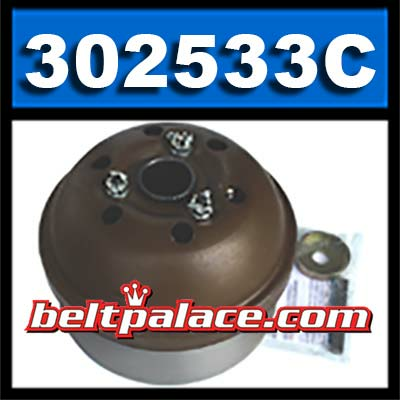 Comet 302533C Primary Clutch. 1-1/8" Shaft. Uses 1-7/16" W Belt. Comet-Salsbury 1190 Series. Severe Duty use with MultiQuip-Whiteman Trowels (select Models). Made to order item (MTO). Contact us for current lead time. 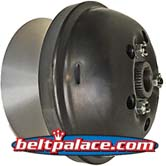 COMET 302609 (A, C, or DF), Comet Industries belt replacement for Multiquip 20138 HHN Trowel CVT clutch belt. 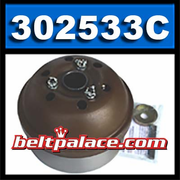 Comet 302609(A-DF CVT) Belt is an exact replacement for Comet Industries belt 302609DF, Comet 302516A, and 302609A. Replaces OEM Multiquip HHN series Trowel CVT belt. Measurements: 1-7/16 Wide. 41-1/2 Inch Length (OC). 2-Sided Cogged belt. A popular size kevlar reinforced common Cargo/All-Terrain Vehicle belt, CVT clutch belt, Whiteman Ride-on Trowel clutch belt. Replaces COMET 302516-C Belt (old style).